The much-awaited notification for FMGE June 2019 session exam is out. Aspirants can now get themselves registered for the upcoming June FMGE exam. 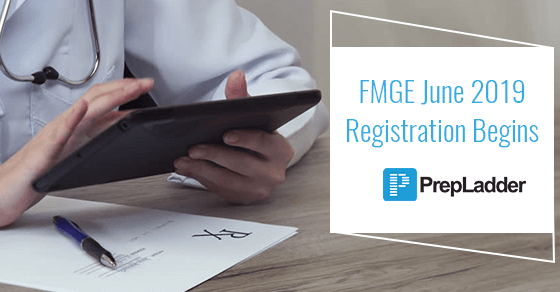 FMGE is a national level exam which provides the license to the foreign candidates’ i.e all those who have completed their Medical Degree from a foreign College or University, and desire to register themselves with MCI or any State Medical Council of India. This exam is conducted twice in a year i.e in the month of June and December. FMGE June 2019 exam is scheduled to be conducted on 28th June 2019 on Computer-Based Platform at various centers across the Country. The registrations have begun. The application forms can be submitted only online at www.nbe.edu.in from 15th April 2019 to 6th May 2019. Here are we with the important dates and details related to the exam. You’ll also find the direct link to apply online.